Book and product reviews. Note that books specifically for parents or children are listed in the For Parents or For Kids categories. Buddhism emphasizes interdependence and compassion. Read my review of a book that frames global warming and environmental issues in the context of Buddhist teachings, including essays by the Dalai Lama, Thich Nhat Hanh, Bhikkhi Bodhi, Robert Aitken Roshi, Joseph Goldstein, and more. In ´A Unified Theory of Happiness: An East-Meets-West Approach to Fully Loving Your Life´, clinical psychologist Andrea Polard offers a comprehensive but practical approach to utilizing both the best Western psychology and Eastern spirituality have to offer us in our own pursuit of happiness. This latest book by Sylvia Boorstein, a founding teacher for the Spirit Rock Meditation Center, shows anyone how they can incorporate Buddhist metta (lovingkindness) practice into their daily lives. In his latest book, outspoken Soto Zen Priest Brad Warner explores Buddhism's attitudes towards gender and sexuality, in an explicit and humorous way. The Mind´s Own Physician: A Scientific Dialogue with the Dalai Lama on the Healing Power of Meditation provides a fascinating overview of the current scientific findings on the benefits of meditation and mindfulness practice, including how they impact the brain and facilitate healing. The latest book from Lama Surya Das, Buddha Standard Time: Awakening to the Infinite Possibilities of Now, is for anyone that finds themselves saying "I just don't have enough time." In Confession of a Buddhist Atheist, author Stephen Batchelor recounts his experiences as a Tibetan and then Korean Zen monk, his research into the Buddha's life, and how he has come to be a 'secular Buddhist', with an agnostic position towards the doctrine of rebirth. The book Dakini Power profiles twelve fascinating, inspiring women teachers within Tibetan Buddhism, including bestselling author Pema Chodron, the most senior Western-born Tibetan Buddhist nun Tenzin Palmo, the first Tibetan women to immigrate to the U.S. Dagmola Kusho Sakya, and more! The Feminine Faces of Compassion is a beautiful guided meditation CD by physician and mindfulness teacher Kaveri Patel. It invites us deeper into ourselves in a gentle, soulful manner that anyone will connect with. Into the Heart of Life is a beautiful book of teachings by Jetsunma Tenzin Palmo, one of the first Western women to be ordained as a Tibetan Buddhist nun. She first came to prominence as the subject of Cave in the Snow, a book about her 12 years in solitary retreat. Whether your interest in Buddhism is personal or academic, this FREE ebook is the perfect way to begin. 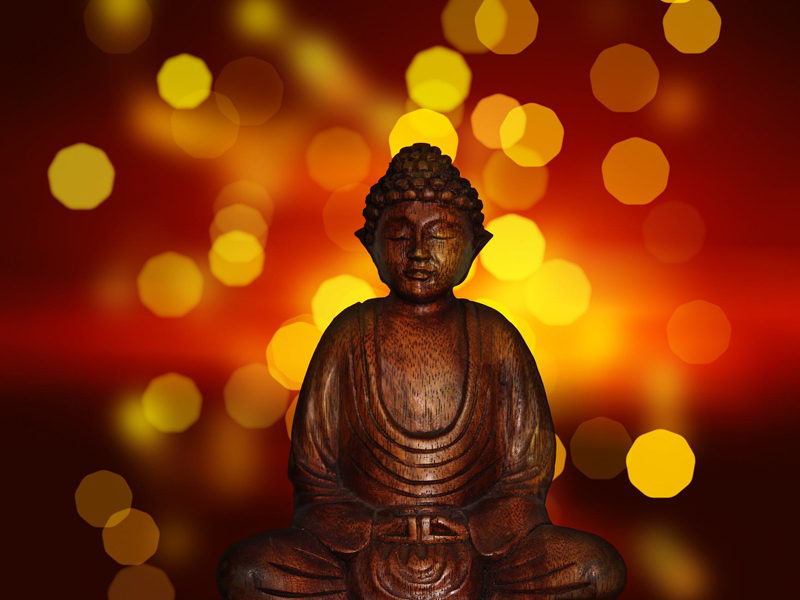 It includes the most popular BellaOnline Buddhism articles, as well as 'Personal Exploration' exercises you can use to explore practices, including different meditation forms, yourself. Are you a Christian interested in Buddhism? A Buddhist interested in Christianity? An interfaith spiritual seeker? The documentary Jesus and Buddha: Practicing Across Traditions may offer you new insights into the connection points between these two spiritual traditions. This 5-CD audio course from Lama Tsultrim Allione introduces a set of practices for transforming our unenlightened aspects into enlightened wisdom. An excellent introduction to Tantra and the dakini principle. Many wonderful Buddhist movies have been made in recent years, but what about movies that don't explicitly feature Buddhism, but might be said to explore Buddhist themes? Here's a list of some of my favorites - films exploring the nature of reality, consciousness, awakening, rebirth, and karma. The book Mixing Minds: The Power of Relationship in Psychoanalysis and Buddhism is an in-depth exploration of both traditions, and especially of the relationship between analyst and analysand, and Buddhist teacher and student. PBS recently aired the original documentary 'The Buddha', by Director David Grubin, featuring narration by Richard Gere, and commentary by the Dalai Lama and many Buddhist academics, teachers, and writers. It is now available for DVD rental or purchase, so be sure to check out this review. The Sixteenth Karmapa, from the Kagyu school of Tibetan Buddhism, had a profound effect on the spread of Buddhist teachings in the West. Learn more about this fascinating teacher, including details of the 'Black Crown Ceremony', in my review of this documentary about his life. Hand Wash Cold: Care Instructions for an Ordinary Life, by Karen Maezen Miller, Zen priest and author of the popular Momma Zen, is part memoir and part manual for living the life we have now, in the now. Subtitled 'Effective Practices for Enlightened Living', this lovely book offers accessible and practical guidance for practicing the ten Buddhist 'paramitas' or perfections, in everyday life. The author's background is interfaith, and no prior Buddhist knowledge is required. Buddhist nun Pema Chodron's latest book offers insight into how we can work with the triggers of our daily lives, and transmute them into opportunities for spiritual growth and awakening. Buddhists and non-Buddhists will benefit from this gem of a book. Jonathan and Andi Goldman, experts in sound healing, have incorporated Tibetan Overtone Chanting, sacred sounds, and electronic frequencies into a relaxing and powerful CD for balancing and aligning each of the chakras meditatively. The Novice is the first widely published fiction offering by revered Vietnamese Buddhist monk Thich Nhat Hanh. In this profound novella, he retells a Vietnamese folktale about a young woman who disguises herself as a male monk in order to study the dharma, and bears great hardship with equanimity. The Way of the Bodhisattva, also called the Bodhicaryavatara or Bodhisattvacharyavatara, is an eighth century teaching particularly honored in Tibetan Buddhism. It teaches the way to cultivate and maintain both relative and ultimate bodhicitta, or 'awakening mind.'. This latest release from punk rocker/Zen master/Buddhist blogger Brad Warner cuts through any delusions you may have about Buddhist teachers, while providing an entertaining introduction to Zen Buddhism.